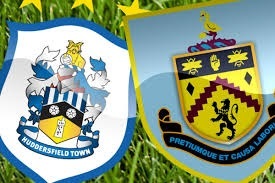 In a match between two teams, currently in the relegation zone of the Premier League, Huddersfield Town welcomes Burnley in a game from the 21th round Let’s take a look. At this moment Huddersfield Town are 20th in the league standings with only 10 points won. Their situation right now is really not good. Being just 5 points behind the 17th Southampton, they still have chances to survive, but only if they manage to improve their performance in a drastic way. It’s enough to say that in their last five matches they have conceded five losses – this is something which can tell you about their levels right now. In their previous fixture David Wagner’s boys suffered a 0-1 defeat during their visit to Fulham at the Craven Cottage. The truth is that Huddersfied were just a few minutes away from winning a point in the game, but Fulham’s Serbian striker Aleksandar Mitrovic scored a winner in the end of the game. It was really heartbreaking for Huddersfield to concede like this in this particular moment of the game. Huddersfield Town have won just 2 games since the beginning of the season, the last one being against Wolverhampton Wanderers at the end of November. As for Burnley, it’s really unexplainable what happened to them. Last season Burnley made an amazing performance and even qualified for Europa League, but now they are in the relegation zone. At this moment Burnley have only 15 points won, achieved with a record of 4 wins, 3 draws and 13 defeats. In the previous round Burnley were relieved with their 4th win for the season, beating West Ham with 2-0. For Sean Dyche’s team it was Chris Woods and Dwight McNeil who scored the winning goals. It’s hard to pick a favourite among Huddersfield Town and Burnley. The truth is that both teams really need the points right now.